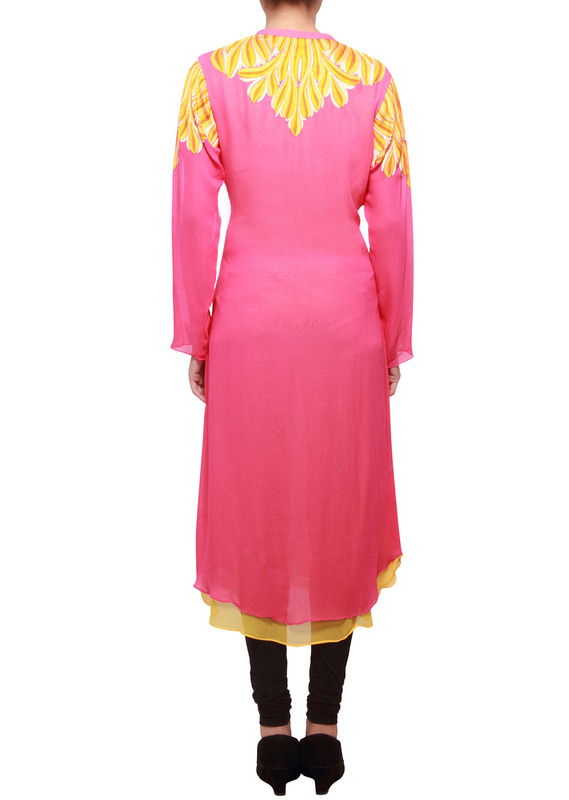 Hot pink georgette kurti embellished in yellow thread embroidery. 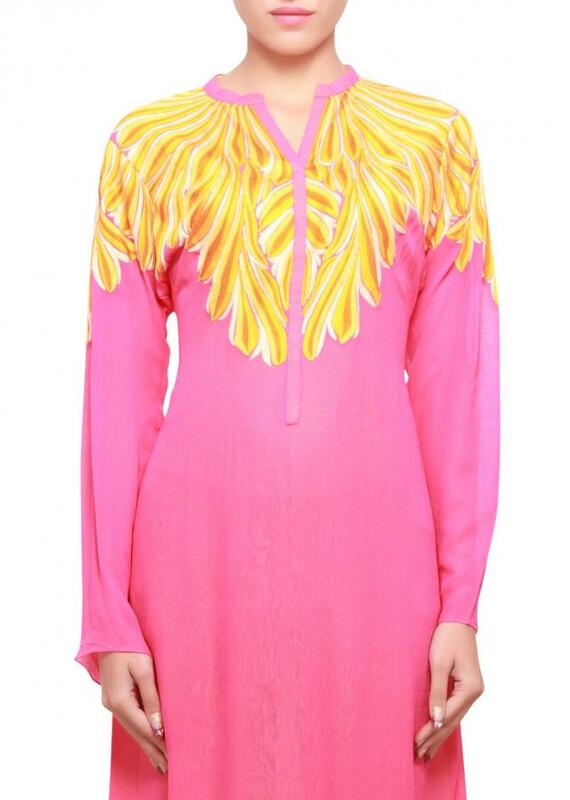 It has round v neck and is full-sleeved. The length is 48 inches.